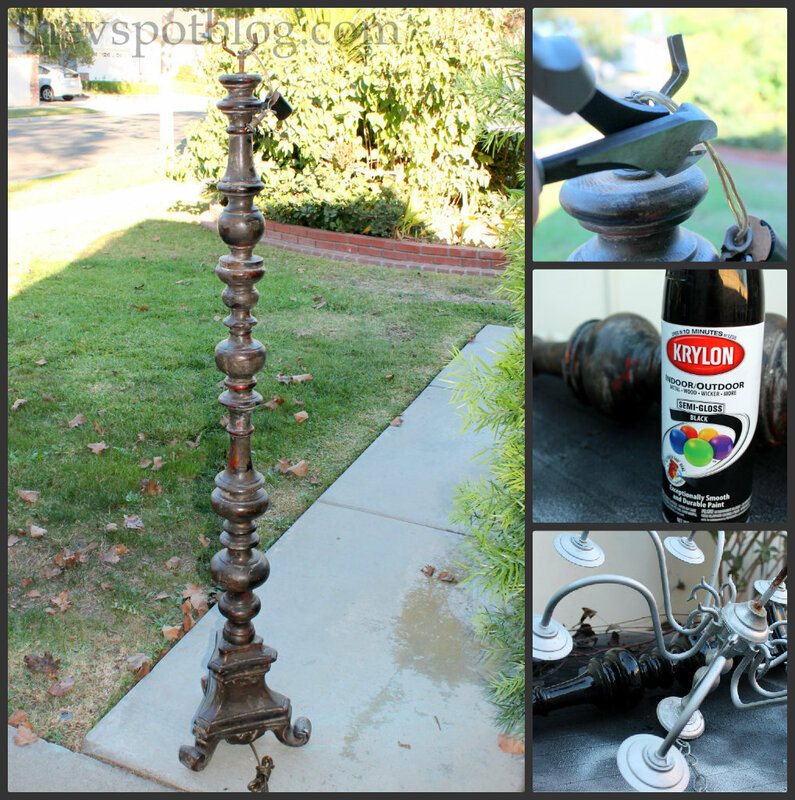 Sandra’s is a fab tutorial on how to make a tall candelabra out of a regular sized lamp. However, when I spied this gangly looking fellow at a yard sale and knew I had to have it for our Halloween party. First, I clipped his wires and pulled them out, removing some of the hardware. I gave it a nice coat of glossy black Krylon spray paint. Then I added my trusty chameleon chandelier and painted that too. I also painted a lot of Dollar Store plastic beads and old beaded necklaces, then “pretty-pleased” HH to run a metal rod through both pieces and they just fit securely on the rod. Pardon the “non-beauty” shots. This baby is part of the decor for our Halloween party. I’ll take some photos of it decked out in all of its candelabra-y glory then. Holy crap. Thats just awesome! I want to fill a room with those and recreate a scene from Phantom of the Opera… Or “I would do anything for love (but I wont do that)”…. Where did I leave my semi sheer gauzy night gown and disfigured crooner? Wow! Very cool! 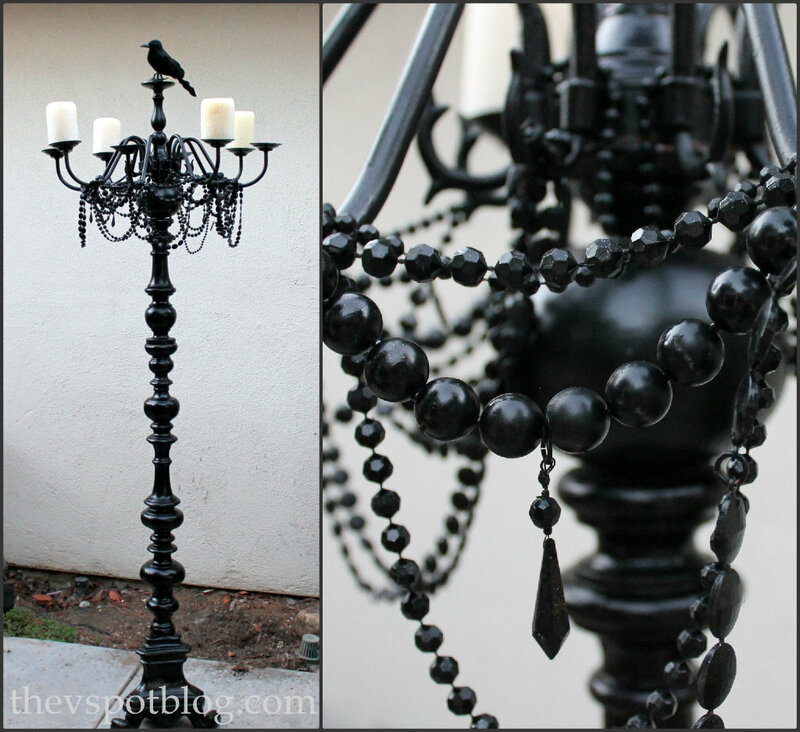 It reminds me of something you’d see in the Adams Family house! Great job! You have outdone yourself with this one. I love it. You are a rock star. This is amazing! ps: it’s cuz i’m jealous. OMG I want one of these … Matt would kill me hahaha. Seriously though this is great I love it! Very cool Halloween lamp! Very “goth” too! 🙂 Looking fwd to seeing the party pics! Love the way your candelabra turned out. We made a similar one last year!!! Completes my Halloween decor! Love it, as usual! I was just thinking some of my decor pieces need a good spray paint makeover. A girl after my own heart. Oh, that is SO STINKIN COOL!!!! I love it! Great work… super cool! You wield a can of spraypaint well! Came over from Roadkill Rescues – WOW! Oh my god its awesome where did you find the lamp stand? 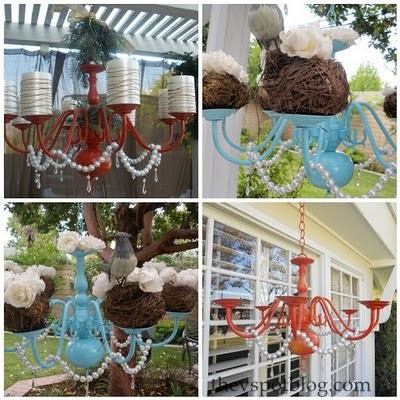 I will try and make it, love love love it I have the chandelier but need to have an idea where can I get the stand.